Through July 31, it’s time to give your kitchen table a little upgrade (or stock up for Christmas!). The Fjorn Elements of Scandinavian Style sale makes it easy to upgrade your stove top and table top experience. From Iittala Tools comes a line of stainless steel cookware that combines good functional design with handsome looks. Björn Dahlström designed these pans with input from professional chefs, incorporating the best of kitchen functionality. Every pan has a triple layer base -- high-quality stainless steel alternates with three layers of aluminum. Stainless steel gives the pans the heat retention necessary for good searing and browning, while the aluminum layers conduct heat quickly and evenly, letting the entire surface of the pan provide an evenly heated surface for perfect results every time. The lids and bases stack well for easy storage, and the brushed stainless steel exterior always looks good. 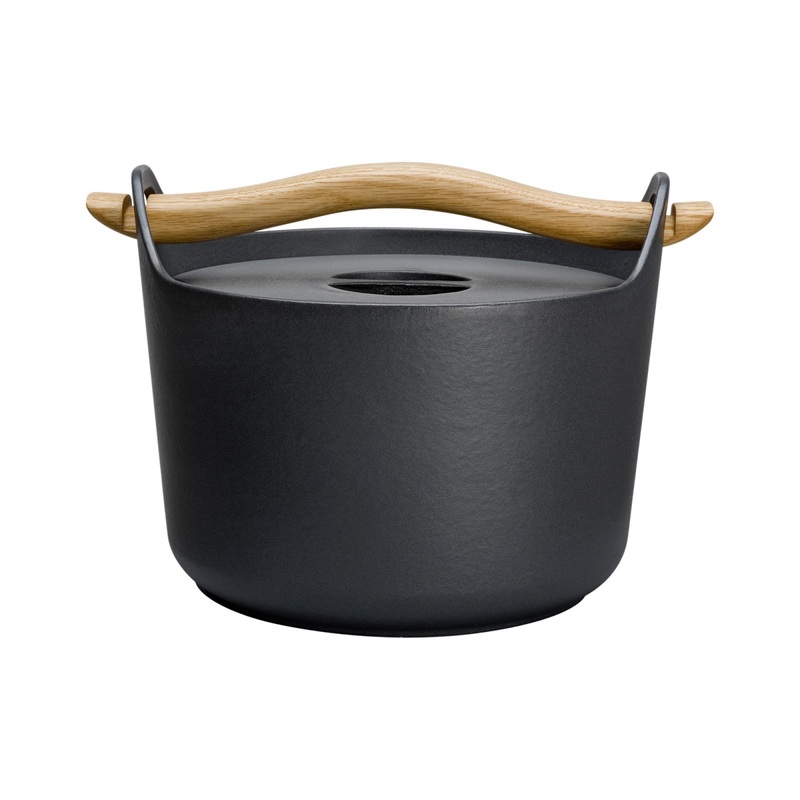 A Finnish classic since it’s debut in 1960 (it’s even been featured on a postage stamp in Finland), this iconic Iittala Sarpaneva cast iron dutch oven has an integrated wooden handle that both allows the pot to be easily moved, but is also serves as the handle to remove the lit when hot. The cast iron construction heats evenly and retains heat to ensure a perfect braise. The interior of the pot is enamelled for easy cleaning and non-stick cooking. It is truly a joy to use, and a pleasure to look at. 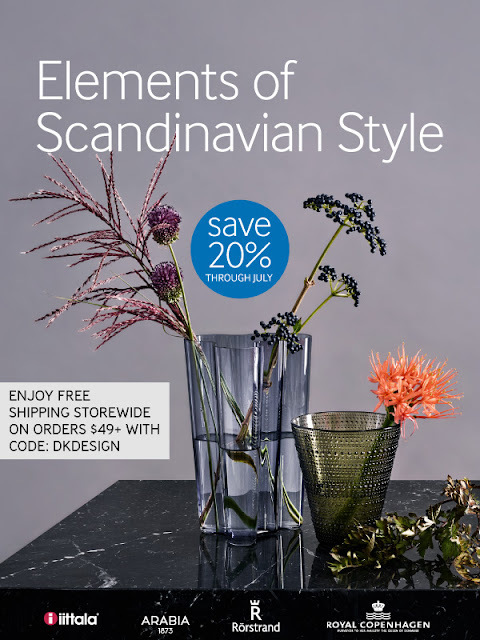 Right now, all porcelain from Royal Copenhagen, Rorstrand, and Royal Copenhagen is on sale -- it is the perfect time to get a few new serving pieces, or a whole new dinner service. From the timelessness of Royal Copenhagen’s Flor Danica to the modern simplicity of the Mon Amis, there is something for every table available. 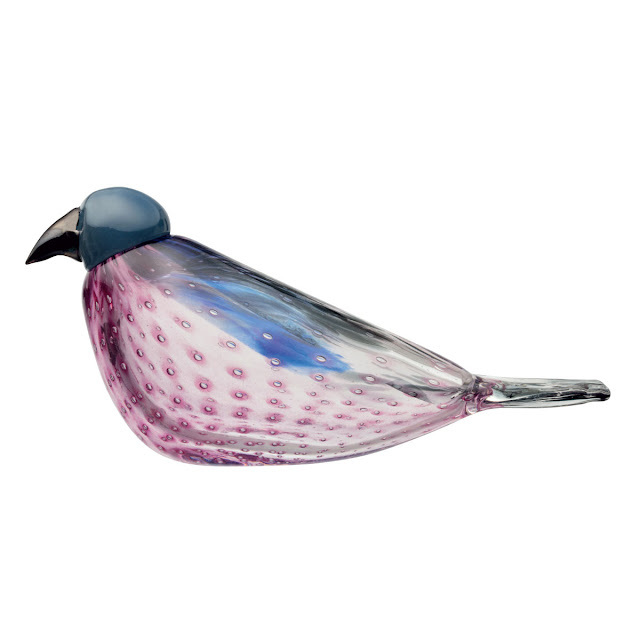 Also included are glassware and decorations from Iittala -- vases, candle holders, wine glasses, and the ever popular Toikka Birds. New for 2018, the American Kestrel is our reigning favorite! Stop by the store in Carmel-by-the-Sea to browse in person, or check us out online at fjorn.com -- but do it before this sale ends on July 31st!